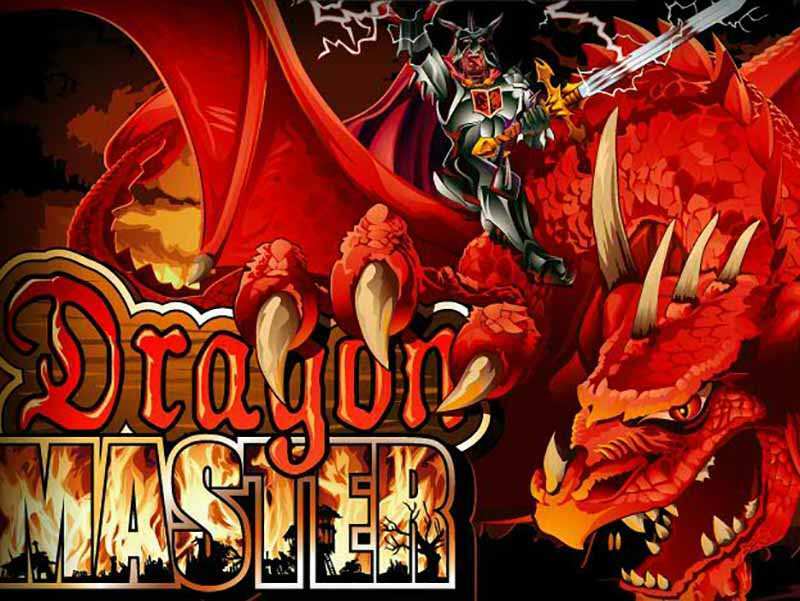 The Dragon Master is an online casino machine developed by the WGS Technology vendor, well known for some of the best games today. This pokie possesses 6 playing cards (9, 10, J, Q, K and A), 4 basic icons and 2 extra cards. This is a cartoonish looking slot with 5 reels and 25 pay lines. The goal is to combine the offered symbols to create a winning combo looking from the left side to the right. To start gambling in the Dragon Master online a bettor needs to click on the “Spin” or the “Bet Max” buttons. The Bet Max mark is used for setting the wager automatically to the highest value for a single spin. The minimum bet amount that can be set is 1 cent, and the maximum is 10$. This slot game has a slightly little different setting menu. The spin, bet max and auto play buttons are located on the right side of a playing screen. The “Autoplay” icon can be used for switching between auto and manual spinning style. If a bonus round is triggered or if a player presses the “Stop” mark, the auto roll will be stopped. For more details about symbols and settings, bettors can check out the “View Pays” window. While a gambler is spinning the wheel of fortune in the Dragon Master slots, he/she can collect scatter and wild cards to create additional scoring combinations for prizes. Wild – The Dragon Slayer is a wild icon. It can appear on any reel and it substitutes all symbols except for the scatter sign. If a player gets a win line with this extra icon, the prize will be doubled. Scatter – this card can be used for getting free spins. The Special Bonus Feature will be available upon gaining 3 or more scatter cards. When this is done, a player will gain 10 extra turns. While these rounds are on, all wins will be doubled. For more scoring chances, a gambler can gather 3 more scatter icons while this feature is on to re-trigger it again. Extra cards can appear at any moment allowing a gamer to score additional money. The Dragon Slayer icon is a symbol with the highest value, and it can provide the biggest outcome in a game. This casino game is a low to medium volatility machine with many scoring possibilities. Winning chances can be improved if a gamer plays more. The big jackpot can be won if a gambler is patient enough. To increase the scoring chances more, a player can find 3 extra icons to activate a bonus feature. This will allow a gambler to spin for free without spending any credits. For gaining the biggest outcomes a bettor should set the stakes to the maximum amount. Every bettor from the UK and other regions who decides to play free Dragon Master casino slot machine can do it for free in a fun mode or for the real money in a real cash version with no download needed. For more relaxed and smooth gaming experience, switch to the auto spin mode and enjoy betting. 0 responses to "Dragon Master Slot"